PLEASE READ THESE TERMS AND CONDITIONS IN THEIR ENTIRETY. For purposes of these Terms & Conditions the words “you," “your," “passenger" and “cardholder" refer to each person who books or is named on the booking or otherwise purchases or receives goods and services arranged through Lujure. The words “Lujure", “our" and “we" refer to 2675528 Ontario Inc.. These Terms & Conditions govern your purchase and/or booking of goods and/or services from Lujure. You accept and agree to be bound by these Terms & Conditions. You agree to convey these Terms & Conditions to all parties associated with your booking. How To Book A Lujure Holiday: Simply call Lujure direct or visit your travel agent and they will contact Lujure for reservations or visit our Web Site at Lujure.ca. Payment Requirements: Where a vacation is booked 90 days or less before the departure date – full payment is due immediately. Otherwise, a non-refundable deposit of 50% of the total price* plus applicable insurance and security/damage deposit is due immediately on booking. Balance and/or full payment is due no less than 90 days prior to departure date. The deposit is due at the time of booking and is non-refundable. Lujure reserves the right to cancel a booking where any payment is not received within 5 days of its due date. Deposit requirements and full payment terms may vary for select private villas and/or hotels. Travel during peak/holiday season(s) may require full payment at time of booking. A minimum number of nights booked maybe required, ranging from 5 to 7 nights, or 10 to 14 nights. A resort fee may apply to select private villas or hotels. Please enquire at time of booking. Security/damage deposits are also required for each private villa reservation. Deposit requirements vary for each property and will be advised at time of booking. Damages and/or incidental charges incurred locally will be deducted from the security/damage deposit. Otherwise, security/damage deposits will be refunded within 30 days after travel has been completed. *Total price is all money due and/or paid to Lujure. Credit Cards: When a credit card is used to confirm and pay for a booking, you, the passenger, and/or the cardholder give consent to Lujure for the card's use. Cancellations: If you need to cancel your booking, you must notify and provide written notice to your travel agent or Lujure immediately. Cancellation charges are calculated based on the date that Lujure receives written notice of cancellation. 91 days or more prior to departure date Full deposit plus a cancellation fee of $175.00 per booking. The cancellation charge compensates Lujure for damages arising from cancellation, including, among other things, pre-payment made on booking of travel and other services and administration costs involved in processing a cancellation. By booking a vacation you agree that the cancellation charge is a genuine estimate of damages to Lujure of any cancellation and is not a penalty. Lujure may arrange for the resale of any holidays you cancel without refund to you. No refunds or adjustments for late arrivals, early departures or no shows. WE STRONGLY RECOMMEND THAT YOU OBTAIN THE APPROPRIATE INSURANCE COVERAGE TO PROTECT YOURSELF AND YOUR TRAVELLING COMPANION(S) ACCORDINGLY. Changes to a Booking: All changes must be requested in writing through your travel agent or directly to Lujure. Change fees vary, and will be provided by Lujure upon receiving the written change request. You will also be responsible for any price increase on goods and services from the original reservation date to the date of change. No price adjustments shall be made if the price for such good and services has decreased. If a change is made to the room occupancy, including the addition to or reduction of the number of occupants, you will be responsible for any resulting increase in price. Name change requests may be denied due to supplier policy and conditions. If a change cannot be accepted, it will make the booking subject to full cancellation charges and/or rebooking. Lujure's suppliers, airlines and local representatives cannot make changes. Airlines/Carriers: Changes to the flight portion of your booking are not permitted and will make the booking subject to full cancellation charges, as imposed by the airline/carrier's cancellation policy. Passenger name correction, passenger letter correction or passenger title change will be treated as a cancellation and rebooking. Group Bookings: Please note that cancellation charges and change fees for groups may differ from those above and will be in accordance with the group contract terms and conditions. Private Villas: Private villa inclusions and services such as facilities, amenities and staff vary for each property. Meals and beverages are not included in your private villa rental, but are available at an additional cost. Please enquire with the Personal Concierge Services. Only guests named on the private villa rental agreement are permitted to occupy the private villa for the duration booked. All rates are based on total occupancy. You will be responsible for any increase in price resulting from any addition to, or reduction of, the number of occupants. Any unauthorized change in occupancy can result in immediate evacuation from the private villa, and no price adjustments/refunds will be made for unused portions of your booking. 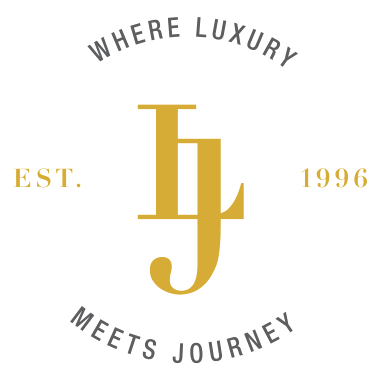 Concierge Services: Following your confirmed villa booking, Lujure will assist with concierge services that pertain to your villa property prior to arrival. Guests are not obliged to book and pay for any additional guest services in relation to each private villa property. Additional guest services retained are at the guest's discretion and at additional fees. Please enquire at time of booking for more details. Special Requests: Lujure cannot guarantee specific requests such as room location, adjoining rooms, bed preference, in-flight meal requirements, sky cots, etc. While Lujure will attempt to advise service providers of such requests, it cannot be held responsible if such requests cannot be fulfilled or if local surcharges are applied. Children: Unless otherwise stated, children's prices are restricted to those 2-11 years of age at the time of departure and only when sharing a hotel room with 2 full paying adults. Excludes private villas. Infants: Passengers under the age of 2 for the duration of the holiday are considered infants (1 infant per adult allowed). Infant fares vary, and are subject to applicable taxes and fees. A reservation is required for each infant. Please note that infants are not assigned a seat and are not allotted baggage allowance. If an infant turns 2 years of age during the vacation, an airline ticket must be purchased for his or her travel to and from the destination. Customs & Immigration: Customs and/or immigration officials can deny a person entry into their country at their own discretion. A previous criminal record could be an obstacle in international travel. Lujure cannot be held responsible for denied entry under any circumstances. Documentation: It is solely your responsibility to obtain, at your own expense, all the documentation required by relevant government authorities for the purpose of your holiday. This includes the documentation required by both the government authorities in your holiday destination as well as any jurisdictions which you may transit through en route to your holiday destination. Required documentation may vary depending on citizenship status. Special documentation may be required for minors travelling alone; for children who have a different surname than the adults who accompany them; or for single parents travelling with children. Prior to departure, you should check with your travel agent and/or the relevant consulate about what documentation is required. A valid passport is required. Some countries require passports to be valid for up to six months beyond your return to Canada. For information on the Canadian Government Passenger Protect program, please visit www.passengerprotect.gc.ca. Landed immigrants without Canadian citizenship or a Permanent Resident Card may be denied boarding upon return to Canada. In the event that a passenger does not possess the documentation required by the government authorities at the holiday destination, or jurisdictions transited through en route to the holiday destination, or by the airline, passage or entry to the destination or transit jurisdiction may be refused. If passage or entry is refused, Lujure will not be held liable and will not issue any refunds. E-documents: Documents are issued 30 days prior to check-in date or flight departure. All tickets and vouchers are produced in electronic format and will be forwarded to you or your travel agent. Please review for accuracy. Applicable e-documents must be presented along with proper identification (see section on Documentation) at check-in for departure flight, return flight, and for other purchased services such as private villas, hotel accommodations, optional excursions, transfers and car rentals. All e-documents are valid only for the flight purchased and cannot be exchanged for other flights or departure times. Flights and Carriers: All flight times, flight itineraries, carriers and aircraft types are subject to change with or without notice. The carriers and Lujure also reserve the right to add en route stops. It is recommended that you contact the airline within 24 hours of departure to confirm your departure time. It is also recommended that you arrive at the airport 3 to 4 hours prior to departure to allow sufficient time for check-in and security clearance. Please check with the airline directly for check-in cut-off time. You agree that Lujure cannot be held responsible or liable if you miss your flight or are denied boarding. If you book air only, you must provide your contact number at your destination to Lujure or your travel agent so you may be advised of any changes to your return flight. Failure to do so may result in you missing your flight and you agree that Lujure cannot be held responsible or liable for any resulting expenses. Carriage and service performed and tickets issued are subject to the terms referred to on such tickets, the rules relating to liability by the Warsaw Convention (as amended), The Athens Convention, The London Convention and The Montreal Convention and these Terms & Conditions. Lujure makes arrangements with various airlines. Air transportation complaints are solely the responsibility of the airline concerned. You agree that Lujure cannot be held responsible or liable for expenses, lost wages or missed vacation time due to flight time changes and/or delays. Baggage: Please check your e-documents for baggage allowance information. There may be charges for excess baggage. Please contact the airline for more details. All baggage remains at your own risk throughout the trip. Due to security restrictions, liquids and gels, as well as many other items, are not permitted in carry-on luggage. Prescription medications should be kept in the original container and packed in carry-on luggage. Please check with the airline prior to departure for the most up-to-date regulations in order to avoid items being confiscated at security. In the event that your baggage is delayed at your destination or upon your return home, please contact the airline representative before leaving the airport. Failure to do so will invalidate your claim. Independent contractors over which we have no control perform baggage handling and we cannot assume responsibility for loss of, or damage to, baggage or other possessions. Due to the carrier's limit of liability, do not check valuable items such as jewellery and cameras. Please also limit the valuables (including electronic equipment) you take with you on holiday and use the safety deposit boxes provided at hotels or on cruise ships. Please ensure you have adequate insurance to cover your belongings throughout your holiday. LUJURE STRONGLY RECOMMENDS THE PURCHASE OF TRAVEL INSURANCE. Connecting Flights: If you have arranged your own connecting flight, you should allow ample time (minimum 3 hours or overnight) between flights. Lujure cannot accept any responsibility for additional charges incurred for airfares or other expenses due to missed flights, irregular air operations or flight time changes. If your booking includes a connecting flight and an airline change/flight delay occurs en route or you miss your connecting flight, you must immediately telephone the emergency contact number and/or email address indicated on your e-documents and notify them of your revised arrival time/flight number in order to secure your transfer pick-up, provided transfer service is included in your package. Local Transfers: Transfers may be included in your Lujure holiday and your documents will include transfer vouchers with full details. Please proceed directly to the transfer company identified on your documents. On your return, please be ready to depart your private villa or hotel at the designated time indicated by your transfer company. There is no reimbursement for missed transfers. Problem Handling: If you have any questions, queries or problems while in destination, you must contact the private villa/hotel management and/or concierge directly, or the transfer agent, as applicable. You may also telephone the emergency contact number and or email address indicated on your e-documents. Failure to report your concerns may preclude your right to a claim. Notice to Travellers: Please be aware that different living standards and practices exist outside of Canada, including but not limited to provision of utilities, i.e. water and electricity, accommodations, services of all kinds, food, food preparation, water quality, security, insects, wildlife or weather conditions. You agree that Lujure shall not be responsible or liable for any loss, damage, illness or injury you may suffer as a result of such different living standards and practices. It is not uncommon to suffer from travellers' diarrhea when travelling. The Public Health Agency of Canada recommends that you visit your family doctor or a travel medicine clinic prior to departure to advise you on precautions. Please check the Foreign Affairs & International Trade Canada website at travel.gc.ca for information specific to your destination before you travel. All private villas and hotels undergo routine maintenance and renovations. Certain resort areas are undergoing major growth with ongoing construction and Lujure is not responsible for any resulting inconvenience. At brand new private villas and hotels, some facilities may not be completely operational. Landscaping and other finishing touches may be continuing during your stay. If Lujure is advised of any significant work that will be ongoing during your stay or of any major facilities that will not be available, we will try to advise you prior to departure through notice to you or your travel agent. Travel Insurance: It is strongly recommended that all travellers obtain adequate insurance coverage to protect themselves should they be obliged to cancel a holiday due to health problems or unforeseen circumstances. You may purchase such insurance at the time of booking. You may also wish to purchase medical insurance. You agree that Lujure shall not be responsible or liable for health problems that may arise or become aggravated while travelling or at your destination. Standards of medical care may differ from those in Canada. Treatment may be expensive, payment in advance may be required and provincial health care coverage may be limited. Cancellation of Services: In the event that certain services are cancelled, Lujure will have no responsibility beyond the refund of all monies received by Lujure for such cancelled services, which will be deemed to constitute full settlement of any claim you might have against Lujure for the cancellation. Alteration of Services: Advertised facilities may occasionally be modified or unavailable. We will advise you or your travel agent of any description changes, if known, prior to departure. Sometimes major changes to your holiday arrangements may be required due to circumstances beyond our control, such as hotel overbooking, unexpected maintenance problems or due to market conditions. Major changes may include change of destination, change of departure or return by more than 24 hours, change of itinerary, change of private villa/hotel or accommodation standard. In these circumstances, Lujure reserves the right to substitute private villa/hotel, and other arrangements for arrangements of comparable value without notice or liability. Force Majeure/Act of God: Lujure is not responsible or liable for changes or cancellations made that relate to or arise as a result of hostilities, acts of war or threat of war, riots, civil disturbances, terrorist activity, industrial disputes, natural and nuclear disasters, fire, epidemics or health risks, technical problems with transport as well as flight delays due to weather or for mechanical reasons, government action, closed or congested airports or ports, supplier insolvency, governmental acts and other events beyond our control. The National Hurricane Center in Miami considers May 15th to November 30th inclusive Hurricane Season. This must be taken into consideration when you book your vacation. You agree that Lujure does not assume any responsibility, and is not liable, for the costs or other consequences that arise out of or result from inclement weather conditions at any time of the year. Hotel Ratings (excludes private villas): Star ratings are our opinion and can differ from official ratings. Our rating is relative to general standards in each destination, so our four-star hotel in one destination can be different to our four-star hotel in another. Ratings are based on many factors including hotel location and facilities as well as feedback from our customers and staff. Facilities & Services: Private villas and/or hotels may curtail or alter some facilities without notice, usually for purpose of ongoing maintenance and improvement. You agree that Lujure shall not be held responsible or liable if, due to the acts or omissions of others, some services, bonus features or facilities described, cease to be available or are not working. The behaviour of other guests and the cancellation of services for any reason are beyond Lujure's control. All efforts are made to ensure accuracy at the time of publication. Descriptions and photographs are representational only and are not a guarantee that everything will be exactly as depicted at the destination. You agree that Lujure shall not be held responsible or liable for modifications that can take place after publication, including damage or beach erosion due to storms or tidal conditions. Services such as à la carte dinners, daily activities programs, spa services and bonus features are on a first-come, first-serve basis and may require reservations. Certain services and activities may be withdrawn by the private villa, hotel or any other supplier of service for reasons such as weather conditions and number of participants. All withdrawn features are non-refundable. Spa services are at additional charge unless otherwise stated. All bonus features do not have a cash value, if applicable. Unused Services: No refunds or adjustments will be made to you for portions of your vacation not taken or used; including late arrivals, early departures and/or no shows. Private Villa/Hotel Check-in & Check-out: Due to private villa/hotel housekeeping requirements, regardless of flight times, check-in is normally after 3:00 pm on the day of arrival. Check-out time is normally 12 noon, but could be different at each property. Local Excursions/Optional Tours: All excursions/optional tours sold locally in destination are subject to the local cancellation policy as each tour is operated by independent suppliers. Prices may be adjusted in response to market conditions or other factors and may change at any time. Changing conditions require a response to booking trends that cannot be foreseen and may result in price increases or decreases depending upon the specific product and dates of travel. Price reductions made in response to market conditions are offered as an incentive to new bookings only. For Residents of the Province of Quebec: The price for the travel services provided hereunder may be increased following the imposition of a surcharge on fuel by the air carrier, or an increase in the exchange rate insofar as the exchange rate applicable 45 days before the date of departure has increased by more than 5% since the date of this contract. If any such increase is equal to or greater than 7% of the price of the travel services, without taking into account any increase in the Quebec sales tax or federal goods and service tax, you may choose to cancel this contract and to receive a full refund of any amounts paid. There shall be no increase in the price of travel services within 30 days of your departure date. Special Needs Passengers: Any special services required at the airport must be advised to Lujure at time of booking so we can determine the availability with the airline directly. Although reasonable attempts will be made to provide the airport services requested, Lujure does not guarantee that the airport while in destination will be wheelchair accessible. Services required for a passenger with special needs cannot be confirmed at the time of booking or prior to departure. Transfer vehicles, private villa and hotel facilities for special needs passengers may be limited and subject to local surcharges in destination or not available. Coach Tours are not recommended. Please check with your travel agent prior to booking. Independent Suppliers: Lujure makes arrangements with third party suppliers who provide travel-related services such as private villa rentals, hotels, car rental, air travel, or other activities included in your booking. We act solely as agent for the suppliers identified on accompanying documentation whose services are being arranged for you. The travel services provided by suppliers are subject to the terms and conditions contained in the rental agreements, brochures, exchange orders or vouchers issued by them. Familiarize yourself and your travel companions with the suppliers' 'terms and conditions of sale'. We have provided you with material, as it was made available to us, and explained those portions that relate to the services offered, prices and terms and conditions, which terms and conditions govern your purchase of travel services. The liability of these suppliers may be limited by their tariffs, conditions of carriage and international conventions and arrangements. Lujure does not own, manage, operate, or control any private villa, hotel, vehicle, restaurant, or other supplier of services, and is not responsible for their acts or omissions. Suppliers are independent parties over which we have no control. The information and description given about suppliers are based on our inquiries and are believed to be accurate, but we make no warranty or representation in respect thereof. We cannot be responsible for breach of contract, failure to comply with any laws, or any intentional or negligent actions or omissions on the part of such supplier(s), which result in any loss, damage, delay, inconvenience or injury to you, your travelling companions or group members. We do not assume responsibility for any breach of contract, acts or omissions of anyone other than our employees, properly acting on our behalf. No employee, agent or representative of ours has the authority to modify, waive or alter any provision of this Notice. Unless the term 'guarantee' is stated in writing on your rental agreement, tickets, invoice or itinerary, we do not guarantee any of the supplier(s) rates, bookings, reservations, connections, scheduling, or handling of baggage or other personal effects. We are not responsible for any injuries, damages, or losses caused to any traveller in connection with terrorist activities, social or labour unrest, mechanical or construction failures or difficulties, diseases, local laws, climatic conditions, abnormal conditions or developments, or any other actions, omissions, or conditions outside our control. There may be different living standards and practices, and different standards and conditions with respect to the provision of utilities, services and accommodation outside Canada. Information on 'relevant laws and customs and documentation' is contained in the supplier(s) brochure, or is obtainable through tourist offices, consulates, etc, of the applicable destination. We can only provide information available to us from our manuals or automated airline services. By embarking upon your travel, you voluntarily assume all risks involved in such travel, whether expected or unexpected. You are hereby warned of the above risks as well as possible travel industry bankruptcies and medical and climatic disruptions, and the possibility you may be unable to travel as scheduled because of personal emergency. Any deviation in your travel is subject to a service fee in addition to any supplier charges or penalties. We cannot be responsible for your failure to obtain and carry proper travel documentation (see section on Documentation). MANY OF THE PROBLEMS FOR WHICH WE CANNOT BE RESPONSIBLE CAN BE INSURED AGAINST. WE STRONGLY RECOMMEND THAT YOU OBTAIN THE APPROPRIATE INSURANCE COVERAGE TO PROTECT YOURSELF AND YOUR TRAVELLING COMPANION(S) ACCORDINGLY. Notice of Claims: You must notify Lujure, in writing by registered mail, of any claim you may have, or claim to have, against Lujure, within 30 days from the event giving rise to the claim. Should you not file a written complaint with Lujure within 30 days from the end of your vacation, you will be presumed to be satisfied with the services received and to have waived any and all claims that you may have had against Lujure. Lujure will not respond to any claims or demands made after the expiration of the 30-day delay. You may not commence any legal proceeding against Lujure unless you have submitted a notice as set out above. Under no circumstances shall Lujure be liable to you for an amount in excess of the total amount paid to Lujure for your vacation. Compliance: You agree to comply with any reasonable instructions issued by Lujure or its representatives during your vacation. Applicable Law: Regardless of your holiday destination, any dispute between you and Lujure shall be interpreted in accordance with the laws of the place of your departure from Canada and international conventions and agreements referred to herein. Notice: No agent or representative of Lujure or any other service provider has the authority to modify or waive any provision of these Terms and Conditions. Arbitration: Any claim or dispute (including, without limitation, any unresolved claims concerning any services booked through, or provided by, Lujure and claims made directly by you or by anyone connected to you or claiming through you) relating to or arising from your purchase of a holiday, or the goods and services provided by or through Lujure , must be decided by one arbitrator, to the exclusion of the Courts. The arbitration shall be governed by the National Arbitration Rules of the ADR Institute of Canada, Inc. or its successors or a replacement Administrator. The seat of the arbitration shall be in the province in which you reside. The decision of the arbitrators shall be final and binding upon the parties. The present arbitration clause applies to all claims made as part of a class action or other representative action, it being expressly understood and agreed to that the arbitration of such claims must proceed on an individual (non-class, non-representative) basis. Lujure's Responsibility: The travel services provided are subject to the Travel Industry Act (ON), Travel Agent's Act (BC), Travel Agent's Act (QC) or any other similar act enforced in the province of residence of the purchaser or in the province where a vacation was purchased from Lujure and Regulations thereunder and are subject to the conditions imposed by the suppliers and such suppliers' (and Lujure's') liability is limited by their tariffs, conditions of carriage, rental agreements, tickets and vouchers, and international conventions and agreements, as amended (e.g. The Warsaw Convention, The Athens Convention, The London Convention and The Montreal Convention). You agree that Lujure shall not be responsible or liable for, and you hereby waive any claim arising out of or relating to, any loss, damage, injury or illness whether physical or mental, resulting from any delay, substitution of equipment, or any act, omission, negligence or commission of any third party supplying any of the services or accommodation herein, its agents, servants, employees, subcontractors, or for any claims for such loss, damage or injury, whether physical or mental, arising there from, or from any cause that arises by reason of actions of parties other than Lujure. Lujure reserves the right to decline any passenger as a member of these tours at any time. Severability: The invalidity of any provision contained herein does not affect the validity of any other provision listed. Miscellaneous: Prices are valid at time of publication. All prices are subject to change without notice. The information on our Web Site supersedes all previously published information. Published February 2015. Web Site Provisions: Lujure makes every effort to ensure that the Content on our Web Site is complete and current. However, Lujure does not guarantee that the information contained on our Web Site will not contain errors, inaccuracies or omissions. Such errors, inaccuracies or omissions may relate to price or to product or service description or availability. Lujure reserves the right to correct any error, inaccuracy or omission or to change or update the Content without prior notice to you. Travellers are also fully responsible for verifying all safety and security conditions for each destination. You agree that Lujure is not responsible for any potential risks and hazards associated with travel to destinations listed on the Web Site. Without limiting the generality of the foregoing, Lujure assumes no responsibility for standards of hygiene, cuisine, sanitation, medical treatment or telecommunications services. Nor is Lujure responsible for any political instability, terrorist activity, war, social or labour unrest, civil disturbances, arbitrary changes in government policies, local laws or customs, climatic conditions, methods of conducting business, military activity or emergency evacuation methods. And claim in tort (including negligence). Some of the Web Site content that refers to private villa rentals, transportation, hotel accommodations, restaurants and other services is the property of, and is supplied by, independent suppliers are not under our control. Lujure does not verify, and does not guarantee, the accuracy of the information that we receive from third party vendors, including suppliers of transportation and accommodations. All information, prices and availability are subject to change without notice. The information on our Web Site is directed solely at those who access this site from Canada. LUJURE DOES NOT MAKE ANY REPRESENTATION THAT THE CONTENT PROVIDED IS APPLICABLE OR APPROPRIATE FOR USE IN LOCATIONS OUTSIDE OF CANADA. Residents of other countries must identify themselves as such at the time of booking or purchase and ascertain whether the booking or purchase will be accepted from their country of residence and the conditions applicable to their booking or purchase. Entire Agreement: These Terms and Conditions, together with the Privacy and Security sections of this Web Site, as well as the Web Use Agreement Terms and Conditions, to the extent that they apply, constitute the entire agreement between Lujure and you regarding the subject matter of this agreement, and supersede all prior or contemporaneous communications, whether electronic, oral or written between Lujure and you with respect to such subject matter. Your retention and use of rental agreements, tickets, reservations, tour documents, invoice or bookings after issuance, shall constitute evidence of your consent to the above terms and conditions.